Why Do I Have to Pay Income Taxes? Taxes have been a vital part of our nation since its very founding. Indeed, even prior to the nation’s independence, local taxes were imposed upon the colonies. However, even with the ratification of the Constitution, income taxes made up a very minimal amount of the government’s total revenue. In response to significant revenue concerns, the Sixteenth Amendment was adopted in 1913. The Amendment expanded the power to lay and collect taxes without apportionment among the states and without regard to each state’s population. However, it took time for the Bureau of Internal Revenue to organize the income tax. The need for revenue only increased with the beginning of World War I, which, even prior to the U.S.’s involvement, caused a decline in international trade and revenue. WWI thus became one of the main catalysts that molded income taxes into the general form that we recognize now. Income taxes are now the primary sources of revenue which allows the government to function. Indeed, in 2013, individual income alone accounted for approximately $1.316 trillion. Corporate income taxes accounted for an additional $273 billion. “Income” generally includes salary and wages, but may also include, but is not limited to interest, dividends, rental income, royalties, lottery winnings, unemployment benefits, and the profits of your business. While individuals are required to pay income taxes, so are businesses, trusts, estates, and other entities. While reporting income taxes is based on a “voluntary system,” meaning that people report their income on their tax returns and conduct the calculation of taxes themselves (or with the private assistance of accountants or others), that should not suggest that the tax is optional. Indeed, employers are also required to report information regarding individuals’ income and therefore, if the individual does not file a return or the return does not match the employer’s information, that will most likely result in a tax bill being imposed by the United States Internal Revenue Service or state division of taxation, or an audit. Most likely that bill will be accompanied by significant interest and/or penalties in addition to the amount that is outstanding. In New Jersey, you are likely to be required to file a New Jersey income tax return if you are a resident (full time or part time) or a nonresident who received incomes from a source within the State of New Jersey. As of January 2004, a single resident is required to file taxes if he or she received more than $10,000 in the year. Married people (filing jointly) must file if at least $20,000 is received in income. Part year or nonresidents must also file if they receive income meeting those threshold amounts from New Jersey sources (such as if the employer is and the employment occurs within the State of New Jersey). 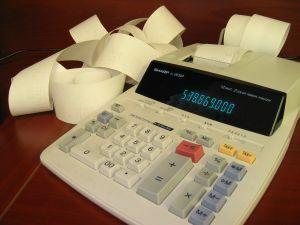 Even if the amount is less than those threshold amounts, if the individual wants to obtain a refund or credit on their tax returns, he or she must file a tax return. McLaughlin & Nardi, LLC’s attorneys are experienced with tax laws, particularly with regard to income taxes for both businesses and companies. To learn more about what we may be able to do to help, please visit our website, or contact one of our New Jersey lawyers by e-mail or telephone at (973) 890-0004. Tagged: "Income Taxes", "State and Federal Taxes" and "United States Revenue"